EuroMontyres is a multibrand tire supplier for professionals. From its begginings EuroMontyres has been characterized by providing effective service to its customers, which has enabled us to consolidate our position as an important reference in the sector. The key of our success is to combine competitive prices and agile customer service. 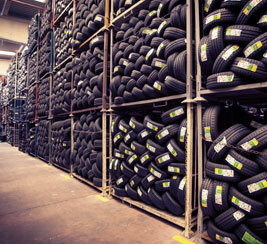 For this, we have a stock of more than half a million tires that fulfill all the expectatives of our customers.